The apartment was lovely and the view was stunning, location was great with everything a 10 minute walk away. Location was ok. Still a good walk to the shops/restaurant etc. Sea views were amazing. Nice large fluffy towels and comfy beds. Kitchen was well equipped. 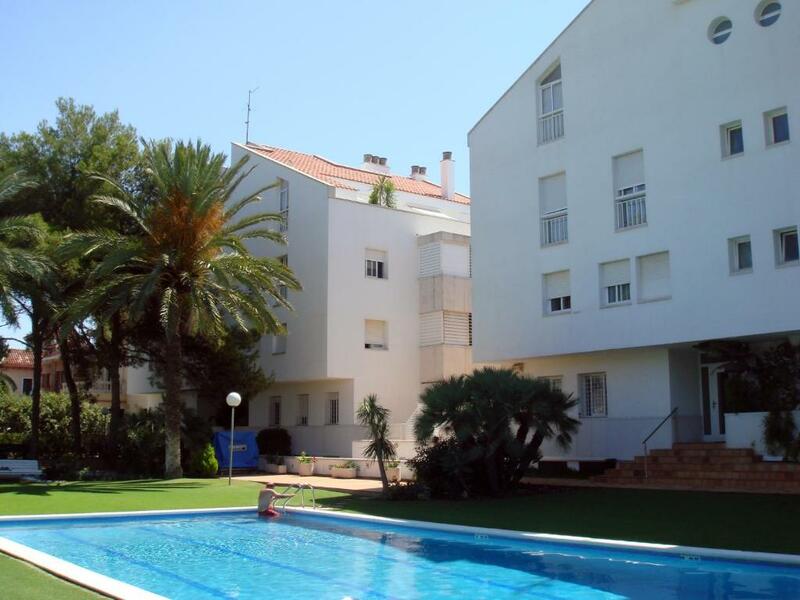 Great location and views, close to the old part of Sitges and restaurants. Ammenities met our expectations the beds and sofa was comfortable. Roomy secure parking as was the access to the apartment. 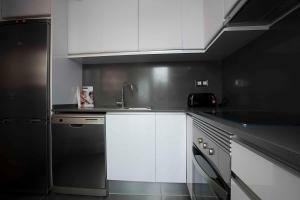 Great location, lovely apartment, really well equipped and good size! Wonderful views from balcony and main bedroom a great spot. Восхитительное расположение прямо на набережной. Есть свой гараж в здании! Большая площадь апартаментов. 2 туалета. Большая гостиная. Ключи получаешь на другом конце городка в отельном комплексе, поэтому , если потом возникают вопросы как попасть в апартаменты , спросить не у кого. Будьте внимательны при прочтении порядка попадания в гараж. 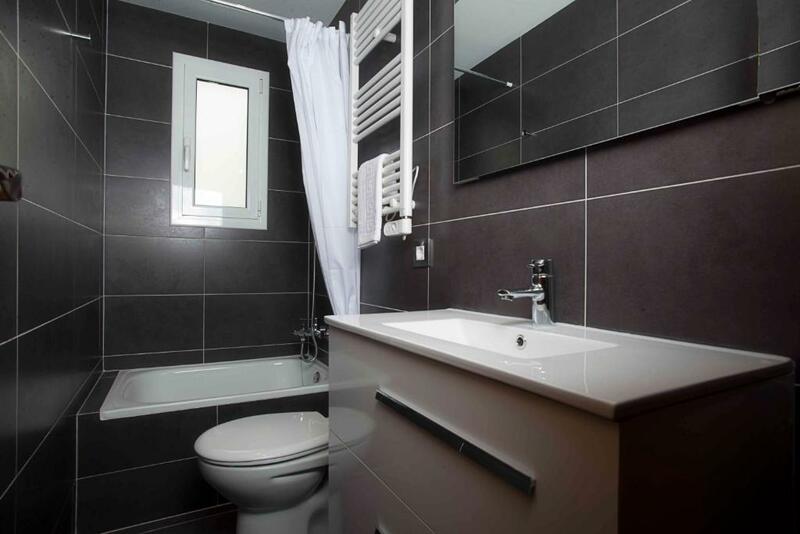 Krásný , velký , čistý apartmán s velkou terasou a výhledem na moře. Každá ložnice má své sociální zařízení .Parkování v podzemí domu. Nada, el servicio de recogida de llaves muy mal, limpieza nefasta, habían pelos en el baño, no funcionaba la calefaccion, muy caro para el servicio que han dado. Sijainti, meri, rauhallinen paikka, hyvä ilmastointi, hyvä pohjaratkaisu asunnossa. Hyvä valaistus! Kaksi kylpyhuonetta hyvä! Lock in a great price for Apartamentos Talaia – rated 8.6 by recent guests! One of our best sellers in Sitges! 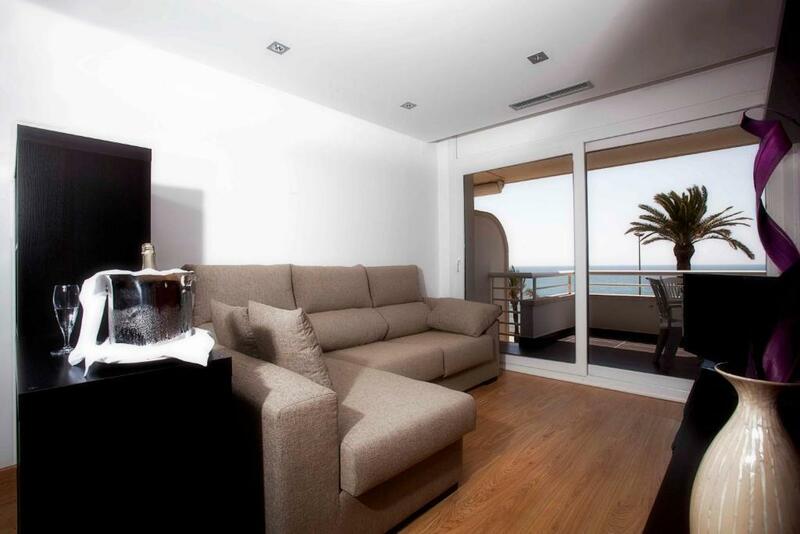 Featuring a spacious balcony with sea views and a shared swimming pool, Apartamentos Talaia is located in Sitges. The air-conditioned apartments are set right in front of the beach and the promenade. Each apartment features a living room with a sofa and a satellite flat-screen TV. 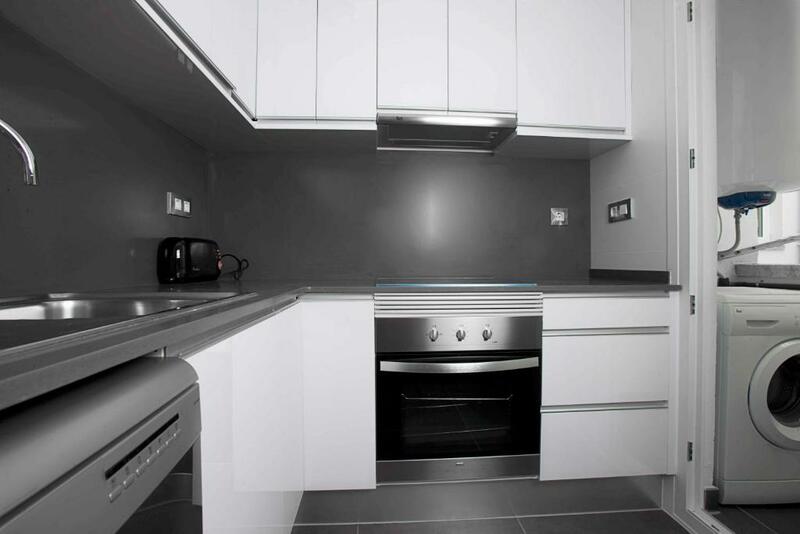 The kitchen is equipped with a ceramic hob, oven and microwave. There are 2 bathrooms. At Apartamentos Talaia, guests can enjoy a shared garden and a children’s playground. The property also offers free bikes and a private parking. 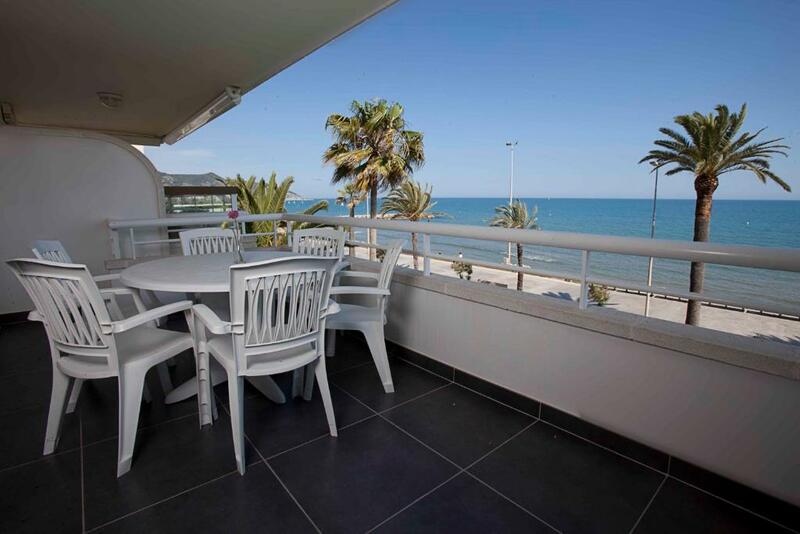 Sitges’ lively center, including many bars and restaurants, as well as the train station, is 20 minutes’ walk from the property. Barcelona Airport is 19 mi away. 뀐 Located in the top-rated area in Sitges, this property has an excellent location score of 9.4! When would you like to stay at Apartamentos Talaia? Featuring a spacious balcony with sea views, this air-conditioned apartment has a living room with a sofa and a satellite flat-screen TV. The kitchen is equipped with a ceramic hob, oven and microwave. There are 2 bathrooms. Los apartamentos Sunway Apollo fueron inaugurados en el 1986 y reformados el año 2014. Están situados en el barrio residencial del Vinyet de Sitges. 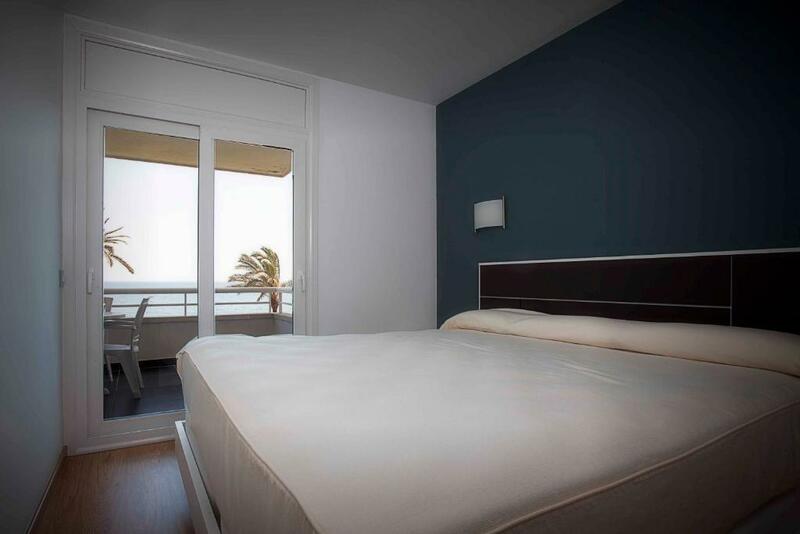 Esperamos poder ayudarle con su reserva, su estancia y su experiencia completa en nuestros apartamentos y en Sitges. Por favor, no dude en decirnos sus necesidades y dudas, y haremos todo lo posible para ser útil! 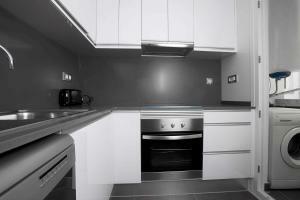 House Rules Apartamentos Talaia takes special requests – add in the next step! Apartamentos Talaia accepts these cards and reserves the right to temporarily hold an amount prior to arrival. Please note that key collection takes place at Sunway Playa Golf. Address: Paseo Marítimo, 92-94, Sitges. Please note that check-in and key collection take place at: Paseo Maritimo 92-94, Sitges 08870. We booked the appartment for 4 persons. But received only 1 set of key. To get a second one we were charged 30 euro!!!!! This is outrageous !!! Nobody cared about us. Nobody showed where the items are in the appartment. For example, we found the chopping board after 3 days. Iron after five! The coffee maker was broken. We had to ask for a new one. Lack of instructions how to opperate the washing machines and dishwashers. Bicycles are included in the price. But their quality is terrible !!! This is scrap and not a bike! The stitching wires hurt my arm. No one has warned that to get the bikes we need to go far away to the rental point and that it is open only from 10 to 14. Location. View. Beach across the street. Keys had to be collected far from site. Air con in main bedroom poor. Position, terrace, pool, bathrooms were all good. Apart from a small bottle of dishwashing detergent there was nothing supplied. A roll of toilet paper in each bathroom was all we got. No teabags/coffee etc. Not even a packet of washing machine detergent. Thought for the price you’d get a starter kit. Didn’t like having to collect the key from a different venue. Someone should meet guests at the apartment (or offer a pickup service from the airport) to go through the operation of appliances (no books for the WM or TV). Was good overall. But the smell in bathroom can be improved. There were three things 1. The apartment stank of cigar smoke - as we were with our 16month old this was an issue for us it took us practically our whole stay to get rid of the smell! 2. There were building works in the flat above - while their start and finish hours were ok (10-6) we could've done with knowing in advance 3. Its a pain to have to go up to the golf club to collect the keys especially with a 16 month old and luggage - meeting a rep or a key safe arrangement should be considered.